The Automax RG Series replaces the Automax R Series and Automax RM Series, The Automax RG provides up to 248,000 Nm of heavy-duty Scotch yoke torque. Enhanced performance is achieved by using a superior yoke support system that significantly reduces transverse loads. The RG series scotch yoke actuator is available in Double-Acting, Spring Return and Canted Yoke designs. Torques up to 2.2 million in-lbs in eight models. The RG series Spring Return Actuators, in contrast with R-series, use Pull-to-Compress the spring design. Has torque module with symmetrical or canted yokes and override options: Direct Drive Jackscrew, Bevel Gear Jackscrew or Hydraulic Override further providing flexible construction. Flowserve Automax SuperNova 180 Degree Actuators are available in the same models and with the same torque outputs as the standard Automax SuperNova Double Acting actuators S063 through to S200 Sizing. The integral mechanical, end-of-stroke travel adjustment is for one direction only. As options, travel stops can be furnished for less than 180° travel and an additional travel stop for the other direction can be provided in the valve actuator adaption. Automax has developed economical control circuits and devices to actuate multiport valves both 2 position (0°,180°) and 3 position (0°, 90°,180°) utilizing the Flowserve Automax UltraSwitch. The Flowserve Automax Supernova Pneumatic Rack and Pinion Actuator is the latest development of the product, which has won worldwide praise for its reliability, versatility and safety. Rugged, yet compact construction combined with new technical solutions make this product extremely reliable & Adaptable in the severest of operating conditions. Rack and pinion actuators pistons can be pressurized with air, gas, or oil to provide the linear the movement that spins the pinion gear. To rotate the pinion gear in the opposite direction, the air, gas, or oil must be redirected to the other sides of the piston, or use coil springs as the energy source for rotation. Rack and pinion actuators using springs are referred to as “spring-return actuators”. Actuators that rely on opposite side pressurization of the rack are referred to as “direct acting”. Most actuators are designed for 100-degree travel with clockwise and counterclockwise travel adjustment for open and closed positions. World standard ISO mounting pad is standard to the Automax SuperNova Actuator to provide ease and flexibility in direct valve installation. 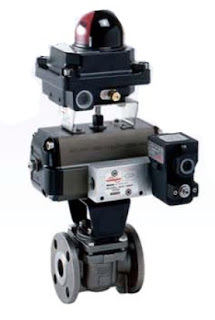 NAMUR mounting dimensions on actuator pneumatic port connections and on actuator accessory holes and drive shaft are also common design features to the Automax SuperNova Actuator to make adding pilot valves and accessories more convenient. Flowserve Automax SuperNova Rack and Pinion Actuator, With Automax Solenoid Valve and Automax XML Series Limit Switch Box. The Automax SuperNova pneumatic rack and pinion actuators are compact and save space. They are reliable, durable and provide a excellent life cycle. SXL Series utilizes a 316 Series stainless steel body and is ideal for use in corrosive environments. The SXL Series is available in both Double Acting and Spring Return versions with a maximum double acting torque output of 7,279 in-lbs. It can be supplied with stainless steel or aluminum pistons and springs per customer requirements and is also available with optional polished finishes for sanitary applications. Limitorque is the brand customers trust when safe, reliable and robust valve automation is demanded in the most arduous operating conditions. Used in a vast range of industries, including oil and gas, petrochemical, power generation, pharmaceutical, and steel production, the Limitorque range of electric, scotch yoke and rack and pinion actuators guarantee precision valve control in challenging applications. The Limitorque LRP provides durable functionality and prolonged service life through unique features such as piston support rods within the actuator, ensuring that side loads generated by the pistons are transmitted through bearings in the end cap and not the body. This eliminates the need for the body to be used as a loadbearing surface and promotes longer service life. The support rod design of the Limitorque LRP actuator distinguishes it from the standard rack and pinion design and offers reliable operation, performance stability and longer service life. In addition to offering improved operational safety and ease of maintenance, the modular LRP design provides greater application flexibility for easy fitting and interchangeability of ancillary equipment, making it one of the finest pneumatic actuators available today. The MX is the Flowserve Limitorque product entry in the non-intrusive, double-sealed, smart electronic actuator marketplace. Originally introduced to the market in 1997, the MX is built upon a wealth of experience and performance in the valve actuation industry. Having been readily accepted into all major market segments, including Power Generation, Oil & Gas, and Water/Waste Water Treatment, the MX can be found on all six habitable continents and has proven itself in the field as rigorous, reliable, and easy to use. For many years the Flowserve Norbro name has been recognised as the leading actuator for industry. Norbro’s aim has always been to provide high performance products which combine reliability, long life and ease of maintenance with operational safety and a modular design concept which allows simple attachment of a variety of accessories. 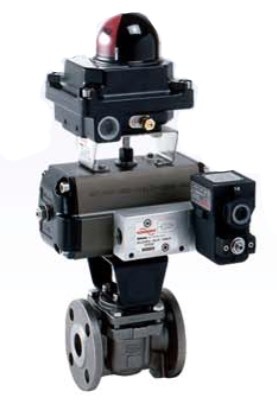 The Norbro Series 40R brings all of these factors together to provide the finest pneumatic actuator available today. More recently Norbro has added two variants to its pneumatic actuator range – the Series 61 two-stage actuator for dosing applications and the Series 33 a 180 degree actuator. Flowserve Series 75 Electric Actuators from Worcester Norbro Actuation Systems add a new dimension of operational dependability and flexibility to modern processes controlled by computers, programmable controllers and other electric control equipment. A multi-function capability permits use of the Worcester Norbro Series 75 actuator throughout the process for on/off, throttling, variable-cycle and any analog or digital control. One of the most reliable electric actuators on the market. Series 75 actuators can assit in the automating of ball valves and other quarter-turn valves or devices requiring rotary operators. Moreover, their ability to provide power in both directions through selected arcs from 20° through 300° makes them ideal for control of heating, ventilating and air conditioning duct systems and automatic, remotely operated equipment.